Thrift Schooling: What a Rush! We recently took a road trip. It was actually a missions trip. With five kids. Including a baby and a toddler. Oh, yes we did. You only live once, why not live on the edge? Ha. So the trek consisted of heading from Virginia to Mexico. We took the Gulf route on the way there but decided to take the Smoky Mountain route back. A bit tourist-y, but gorgeous. 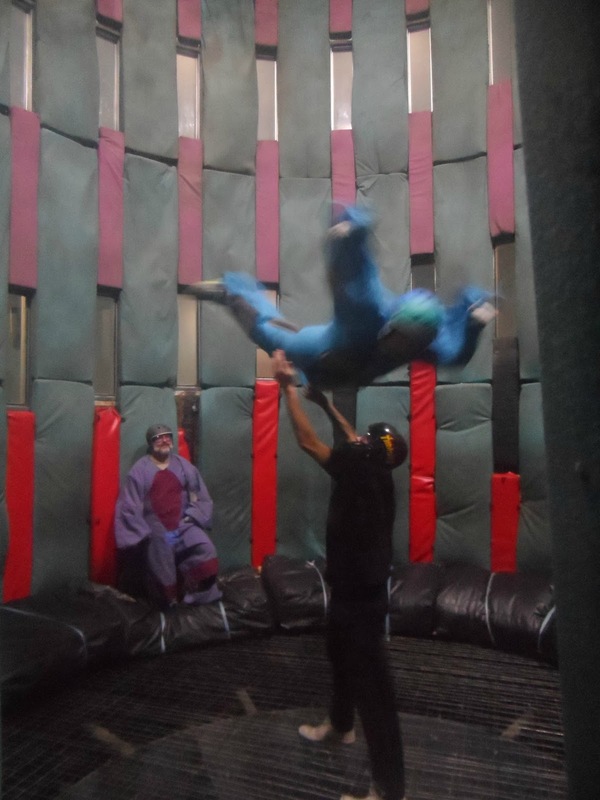 During our visit, we tried the new trend of indoor skydiving. 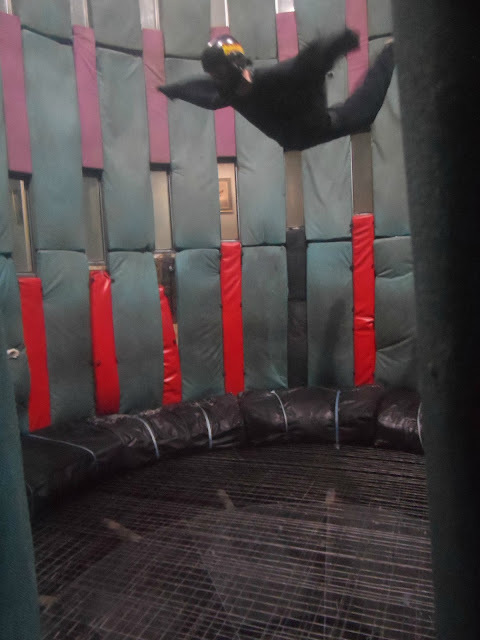 One of my kids informed me not too long ago that when he gets older he wants to be a sky diving instructor. "Well," I said, "let's try indoor skydiving first so you can at least get a taste for what it feels like!" And, next month he is going on a plane ride through a homeschool field trip we have set up- so at least he can see if flying is something he actually does enjoy. If he likes both then I guess we'll see what happens. He is only ten. we went to Flyaway Indoor Skydiving in Pigeon Forge, Tennessee When we arrived, we were greeted by the friendly staff. I knew that you could make an appointment online but since we were stopping by on our way through it was hard to pin down an exact time. Which worked out perfectly since they do allow walk-ins. When we got there, we got right in, but shortly after, the rush came, and there were about three groups waiting behind us and watching us though the windows throughout our session. When it's your first visit, as it was ours, you go in a room and watch a video explaining how everything works. It goes over the hand signals to use with the instructors since it is so loud in the room that talking to each other is near impossible. After the video, the instructor had my husband and I sign waivers for us and the kids. The youngest that was able to fly was my seven year old. But as long as a child is at least 40 pounds, they can fly so they have had younger children experience this. They also have a weight limit for flying. It's okay if you are over that limit, they just want you to know that the experience just won't as enjoyable. Our instructor, Jon, was awesome. 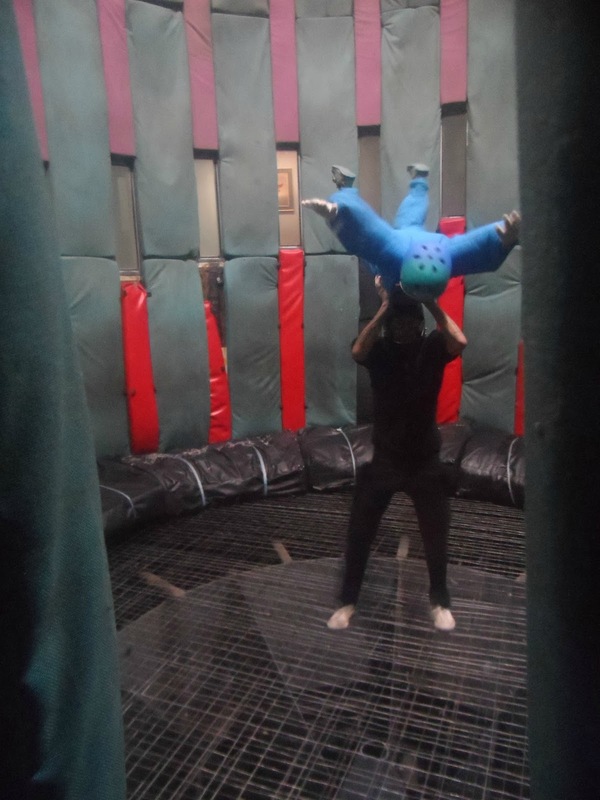 He was great with the kids and made them feel safe and comfortable before we headed into the room with the big scary fan that lifted you off the ground. After the rules and instructions were clear and the waivers were signed, we all went to gear up. We split into two group, the girls and the boys simply because someone had to be watching the little guys at all times. Since it was our first time the instructor made sure to guide us through the process slowly. He even showed us how it was done was you were more comfortable with it! It was an awesome experience. After your first time, the price is cheaper if you save and show them your reciept. Our family would love to do this again! $5.00 Off Video Service - Take the experience home! Show your friends! HD video of your flight on USB thumbdrive. Bring your Flyaway USB back to record additional flights.